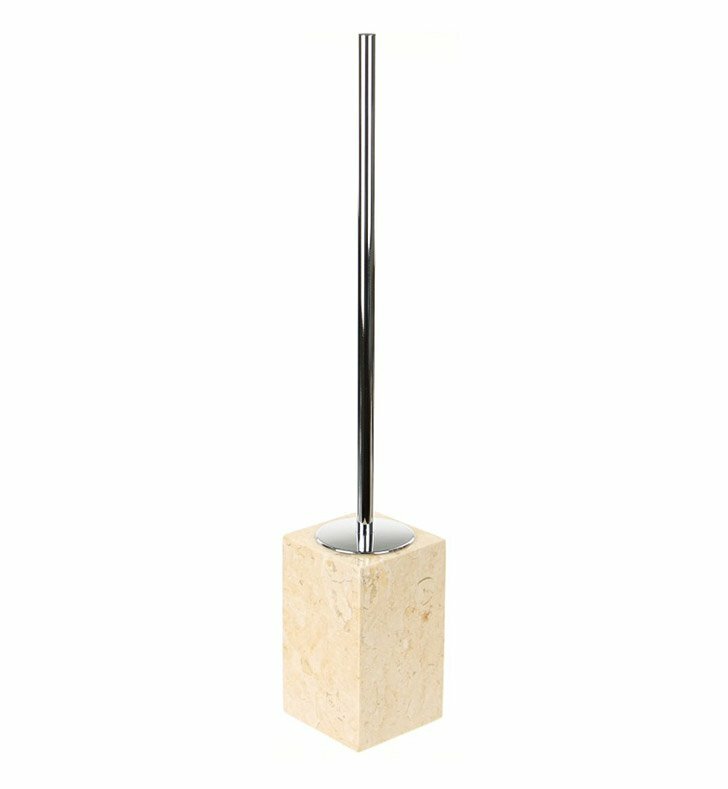 A luxurious floor standing toilet brush and holder made in the highest quality marble and steel and finished with beige. This toilet bowl brush set from the Gedy Claudia collection is a contemporary-style toilet brush & holder. Designed and built in Italy. Is great for your decorator bathroom.